Observe! The brand new free beauty template is here! The web design template has been named to be 'Model Gallery'. Our free beauty templates are day-savers for the website owners that require a web design solution for his or her beauty salon web site. Our team spend precious time and efforts to select the free templates by hand and make sure that they are really of top quality. Oh well, now tell me - why bother? Free suggests lousy quality, right? Are free fashion templates good for anything? Definitely, most of our free web templates are quite similar to the premium web themes in the terms of quality. Is it possible to imagine a seasoned professional designing some low quality stuff? If you can, pity on you. As for me, I've never seen a web designer ready to harm his name by spitting out inferior designs. A time for little proof. Not all of the free web templates have been created equal. The reality is, there are some that are of poor quality or some that came to us from nasty nineties. But what you find on our website is a collection (see, we picked them, not just grabbed anything we could reach for) of professional top quality pre-made designs, i.e. 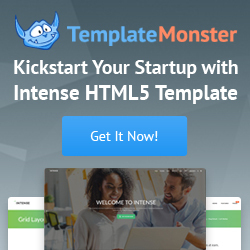 high quality free web templates. In reality, some of them tend to be better yet than premium paid-for web templates. You don't need to be a mega-brain to understand that the quality of the web template typically is determined by the degree of the web designer's professionalism. There are amateurs, students, self-proclaimed gurus (hahah, more often than not - merely some schoolboy with lots of imagination and lack of experience) and there are those people who are experienced old soldiers of website design and web development. And those genuine experts don't spend all their precious time earning loads of dollars as you may have thought - occasionally they create a few free web templates just from the love of the art :). Lot's of people (or all of them?) have a passion for freebies. And that is because free doesn't always imply low quality. Here's this beauty of a web template right before you - now, tell the truth, does it appear to be 'bad' quality? We hope that our free beauty template is exactly what you were hoping to find for your beauty salon website.